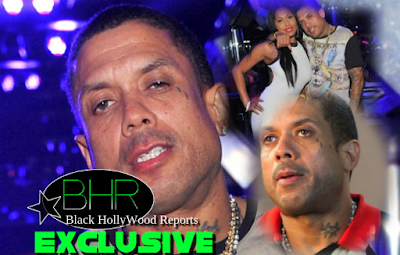 BHR Hollywood Reports..........Benzino and his fiancée Althea Eaton made headlines this week when they revealed that they’re expecting their first baby together. But now they’ve made headlines over reality TV drama as a new video leak claims to prove Benzino faked his engagement to Eaton. In the first half of the video, Benzino is seen getting down on one knee and waiting on Eaton in a hallway to turn a corner so he can surprise her and pop the big question. However, the second half of the video shows the proposal that was aired on “Love & Hip Hop Atlanta,” in which Benzino proposed to Eaton in a Ferris wheel. It’s not clear which one took place first, but we assume it was the scene from the first half.